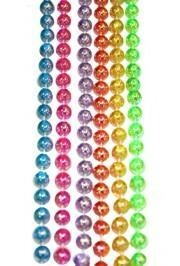 Throw beads, an essential attribute of any Mardi Gras theme party are plastic, multicolor, machine made necklaces, commonly referred to as "cheap" beads. Carnival Parade Krewes require thousands of "cheap" beads to throw to the crowds along the parade route so no one is left out. 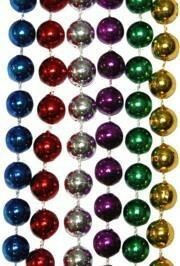 We sell "cheap" beads in bulk at the LOWEST, WHOLESALE DISCOUNTPRICES! 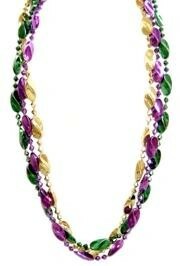 These machine-made low-price bead necklaces are 33", 42", 48", 60", 72", and 96" long. 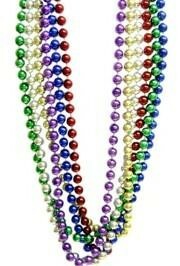 33 inch throw beads are the most popular option for Mardi Gras parade goers. 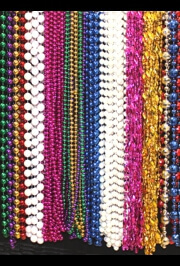 These beads are available by dozens and by case. The prices start below 5 cents per necklace when you buy by 60 Dz case. When you want a little more than the average bead but still want to keep your costs down, our 33 inch better throw beads are a great option! 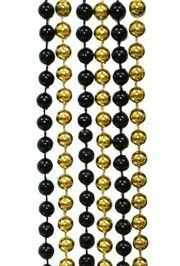 These beads have themed medallions and inserts in many colors to match school or team colors. 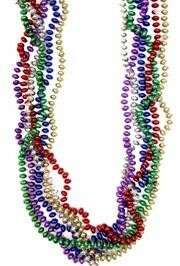 These beads make great throw beads for Carnival parades and also great Mardi Gras party favors! Just choose the colors that match your theme! The bigger, the better? Well at 48 inches long, these beads will hang just shy of 2 feet. That's pretty long! 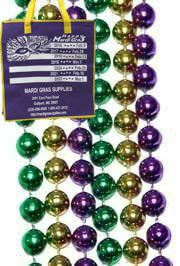 These 48 inch better throw beads are sure to make you stand out in the crowd! Do you want nothing but the best for your Krewe? You've come to the right place. 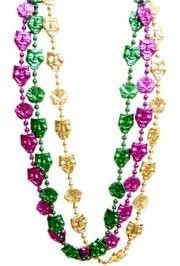 Hanging at about the waist, these beads are for the Mardi Gras fanatics!